Hey folks, we had a blast with those who participated in last week’s Fortnite Save the World AMA. Below you can find a recap of all the questions, answers, and employees that participated. Or you can visit the original AMA by following this LINK. Welcome to the Save the World AMA, we’re so happy that you could be here! Let’s introduce who will be answering your questions today. We’ve not been super great on communication here, so we do want to confirm we’re aware of the console and performance issues and consider them very high priority. Late last year, we did a big push to improve client game thread performance and eliminate hitches due to loading assets during play. Once some progress was made on this front, it became clear that we had other classes of issues still degrading the player experience. Most recently, our perf attention has been targeting networking concerns. When bandwidth is limited (for any number of reasons - not just the quality of internet connection), there will be out of sync issues that are distinct from other client hitches. We have a series of optimizations in the works for sending less network data, especially during combat. These began rolling out in 7.40 and will continue through Season 8. Historically when the community reports an issue, we attempt to reproduce it in-house, using a process where we can clone and test against copies of live accounts to help narrow down if it’s isolated to particular account set-ups or gameplay scenarios. Some of the remaining issues have actually been complicated by only reproducing against our live servers, so we’re also investigating both our server configurations as well as any platform-specific implementation choices in an attempt to narrow down the root cause(s). We want to thank everyone for helping to surface these issues and for your patience. It actually helps us quite a bit when people post very clear videos showing problems and/or describing the scenarios when things went wrong. Special thanks to multiple members of the community who have helped provide logs, joined games with our QA staff, etc. in an effort to help track down general performance issues, as well as the infinite loading bug. We’re going to kick off the work to allow emotes that you’ve earned or purchased in BR to be usable in StW soon. We’ll share more details as we have them. Lots of questions from everyone here, both about narrative and about end-game activities. For now, our short-term plan with Twine is to start revamping it into an area with content more appropriate for end-game players (with light narrative support) instead of starting a brand new campaign in Twine. This effort will be a long pull, but we’re planning to introduce higher level and more challenging missions, as well as a means to earn unique loot only available in Twine, ideally by the tail-end of this season. For the narrative, we fully intend to continue to tell stories about the denizens of Homebase, both as contained, stand-alone episodes, as well as those that advance the established story. We love the characters that make up Save the World and we’re going to experiment with new narrative delivery methods in the future. Season 8 itself will feature two different event-based storylines, one available at the beginning of the season and one in the middle. Many of the initial questions were some variant of “will you improve feature X?,” “will you ever add feature Y?,” “have you thought about Z?,” etc., which can occasionally be tricky to answer very well. The long (and probably unsatisfying!) answer is that we have a lot of ambitions for Save the World and where it could go in the future, so often the answer to all three questions is a “yes,” it just depends on where it ends up in the priority stack. For the immediate short-term, we’re looking to release the hero loadout (tomorrow!) and respond/iterate on it some from there. Aside from things already mentioned, we’ll also be looking to add some more activities/missions as well. For now, those will show up as Beta Storm tests over time, but we’re also going to be experimenting with more ambitious ideas that will take longer to pan out. The first Beta Storm coming up is called "Eliminate and Collect". This new mission is all about combat, you only have 10 minutes to eliminate as many of the enemy as possible. You will have a minimum number to eliminate and have to collect a set number of samples the enemy will occasional drop to claim victory. The more you eliminate the better your reward. Watch out, the storm is closing in fast. There will also be random bonus objectives each time you play. From a broader vision of the game standpoint, we also want to continue to make strides against moving more of the game out of UI and menus and into game. We really want to address some of the pains of inventory management this year as a goal. Q: Are there plans for new traps or trap improvements in the foreseeable future? A: Yes. We will be adding a cool new wall trap in the latter half of Season 8, and plan to continue adding traps in the future. Q: Are there any plans to revamp the daily coin system. Not so much earning them but better uses for them? Q: Is our gold going to be removed / reset at the beginning of each season just like it used to be? A: We're not resetting gold and we removed the gold cap. Q: Any update on the end of canny valley cinematic? A: This is still in active development! Q: Have you guys talked about expanding the storm shields in any way? For example a lot of people here have suggested an "endless" mode for storm shields similar to Frostnite with waves of enemies of increasing difficulty. A: There are a suite of improvements planned for Storm Shields that are currently in development. These are tentatively planned for some time in Season 9. This includes new combat challenges in the Storm Shield, resetting the Storm Shield after a failure, and being able to tear down your base in a quick and effective way. Q: Will there be any new mission types? A: We're using what we call Beta Storms to experiment with new missions and existing missions. Experiments will include playing with shorter mission times. Q: Are there plans to buff melee weapons/ninjas in general? A: The Hero Loadout gave Ninjas a significant buff, both in the power of their abilities and by moving Shadow Stance into the base kit of the class and improving its effects. The Hero Loadout also provides a greater selection of perks focused on survivability which directly benefit melee builds, such as Survivalist and Dim Mak. We've been gradually improving the variety of heavy attacks available on the melee weapons and introducing features like gap closers through them. We have early plans for more systemic improvements to melee combat, but no timeframe for their delivery yet. Improvements will be made as we continue to enhance the Hero Loadout. Q: Is STW still planned to be released for free, or will it continue to be only payed? If you happen to see this, love your game! A: Still the plan! We're still making major changes to the game. Once we feel like the game is ready for everyone we'll go free. We love you too! Q: Will there be a time sometime soon where you guys re-visit Plankerton and give it the proper biome? A: In Season 8 we are introducing a new visual update in Plankerton that significantly changes the look of the zone, and are much more run-down in tone to show the progression in time. We've added a new "Lakeside" location as well. Q: Will you ever be bringing back those StW livestreams you guys used to do? A: We're thinking about it, what kind of stuff would you like to see? Q: Also, are you planning to fix technical performance on/remove the Deathbursts? A: Deathbursts are on our radar as something to improve, although we don't have a solid timeframe for this yet. In addition to performance, we also want to try and introduce a bit more counterplay. Q: With the Hero rework almost here, can we expect to see more StW-specific Heroes, and less ports from BR? Perhaps an even mix of them? Q: How does the Save The World team manage their tasks? 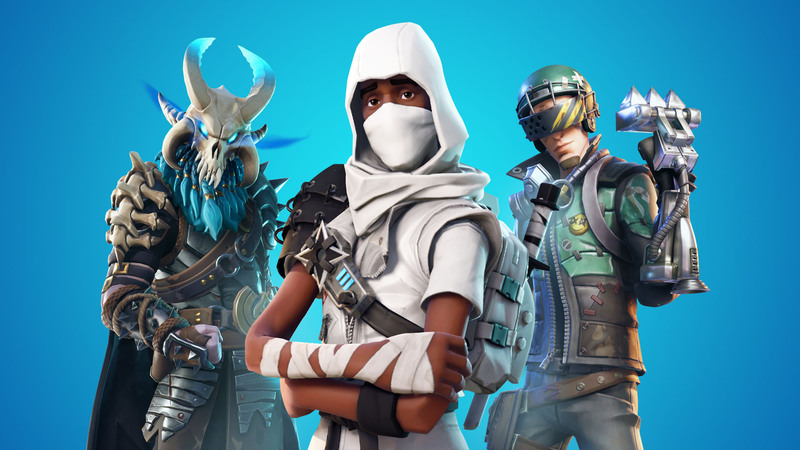 Is there a certain group working on big projects like the hero loadout while another works on weekly content such as Frostnite challenges or is it a different system? A: Managing STW is done via a series of planning and priority meetings. Tasks are tracked in a software called Jira. We start by planning at a high level what we want the next series of months or rest of the year to look like from very high level beats - at this point we might have to make some assumptions that turn out later to not be true which will ultimately alter plans. When we initially plan for a specific season we agree to a theme or a general direction and then brainstorm what the contents of that season should be from a narrative standpoint, hero standpoint, rewards, features, and activities. Sometimes one of those buckets is given more emphasis than another so that other really big forward facing features, such as Hero Load out, can be developed in parallel meaning the size of the team working on a specific season fluctuates based on future and current needs. Once planning is done, we figure out which parts of the team will work on what, when they'll start, and what the expected delivery date is. We try to move quickly and try to stay plugged into the community as we make decisions. If you've ever done project management of any kind, you find out quickly your best laid plans quickly come apart because of all sorts of considerations that you have to deal with on the fly. The team adjusts accordingly, playtests, iterates, and eventually ships something we want to be proud of. Q: I don't see it mentioned, but I'll ask. Any chance of new husk types on the horizon ? Or would this be part of the Twine road map towards the end of season 8 / possibly season 9 ? A: We're aiming to do a visual revamp of the Blaster soon and are always considering new enemy types. A: Vouchers can be used to recruit any Event heroes in the Collection Book that can not normally be recruited. Vouchers can not be used on Core heroes and Expansion heroes, but they can be recruited for the usual Flux/manual cost. We'll be granting additional Flux, manuals, and other resources when 8.0 launches as well. Q: any plans for end game content? Q: Will we be seeing any new abilities in the future? Q: Any hints for zenith’s perks? One of my favorite heroes! A: Let's just say he's cool as ice. Q: The vibrant biomes in some SSD maps are beautiful! Can we expect to see similar visuals brought to other maps in different areas of the game, like in normal missions? Q: Will you add an option to switch back to the old soundtrack? A: Most likely, no. However, you never know what you may discover. Q: What was the most exciting feature/mission you’ve added to the game thus far? A: My favorite right now is the Storm King because I've wanted a boss of that magnitude since we started developing the game. Q: What about SSD‘s? We all love them and want to continue playing them even after Twine SSD10. Have u thought about adding additional ones (or maybe unlimited) that grant special rewards? A: We're going to be adding some awesome SSD improvements in seasons after 8. Q: Do you plan to add areas after twine peaks? A: We're experimenting with different types of area content, but going to take some time. Really want to see bigger maps! Q: How many vouchers are we getting for event hero recruitment? Q: Are there any plans to revamp the In-game hud/UI? As it stands, it could use an update to reduce clutter and improve some things. A: We do want to update the HUD but it won't be in S8, but we agree we can do better here. Q: Have any storm king pins been dispatched? A: We've started shipping now! If you've earned one, keep an eye on your mail box! A: We aren't happy with how obscured Mission Alert quotas currently are, and are planning to make changes to them, tentatively in the late season 8 or early season 9 timeframe. The design isn't completely nailed down yet, so we can't share further details at this time. A: We're planning on a bunch of SSD quality of life improvements soon. Won't be season 8 though. Q: What llamas will be added to the expansion in season 8? A: The Vindertech weapon set is being moved into the Expansion section at the start of Season 8. Q: With the AFK system overhaul not currently acting as a deterrent for many abusers, how will toxic behaviour / afk'ing and general asshattery be managed ? A: We're still iterating through the AFK system. We believe we haven't exhausted all our options in making this system better. We're going to be making more improvements in season 8, some visible and some not (we don't want people to game the system). Please sending us feedback, it does make the system and the game better. Q: With the free hero voucher we are receiving tomorrow, would we be able to Recruit heroes we don't have in the CB from previous events that are tied to a questline (for example: Carbide) ? A: Yes. Carbide should be available for recruitment (for a voucher) on the Blockbuster page. A: Yes, we have plans to continue adding banners. We love them! A: Revamping the collection book's functionality/rewards is on our radar, though unlikely to be within the next season or two. Q: As of right now in the game, if I'm using a constructor (say Heavy Base) and another friend of mine is using a Power Base, the person who places their B.A.S.E. second has their B.A.S.E. wasted if the B.A.S.E. covered tiles are overlapping. For example, in an SSD, if I place a Heavy Base B.A.S.E. and then then Power Base places his B.A.S.E., then the healing effect of Power Base's B.A.S.E. will not be applied on the tiles on which these B.A.S.E.s are overlapping. Is this intentional? If not, is it being addressed in v8.0? A: Not in 8.00 but thanks for raising this - needs a discussion for sure. There are potentially balance and performance concerns here, but ideally each player would get full benefit from abilities. A: We've made some balance adjustments to gadgets in 8.00 to make some other options more competitive. We'll be keeping an eye on these and iterating going forward. Q: Is there anything being done about people who AFK / Ignore the objectives? A: Right now we do action people through the reporting system, but we're actively working on improving on AFK detection in general, with hopes of booting AFK players out of match more accurately/quickly in the future. Still needs multiple iterations. Q: Will you add something to counter propane tanks or change some weapons to not set them off because currently there is few ways to deal with them and most weapons set them off. A: You can hit them back with the pickaxe, which i think is really fun. I've seen a lot of amazing strats from the community on how to counter propane huskies. Q: Any plans for an axe focused hero? A: In the new loadout system you should be able to make heroes that are really strong at melee. Q: Will there be a zone following twine peaks that is related to the “rainbow crystal” etc. or was this plan abandoned? A: Before the game launched we built an extra tier of crafting ingredients as a future-proofing thing, but they were never supposed to be released into the wild. We don't have any short-term plans to add an additional tier of items to the game, but if we eventually do release an additional tier, we will likely create new crafting materials instead of using the existing ones. Q: Please be honest, on scale of 1-10 how annoying is it to deal with us - the Save the World community? A: Definitely not annoyed! We value your feedback and many of us read it daily. One of the best ways to work with us is being constructive in your feedback. Being able to clearly explain an issue or a change in a constructive way definitely helps us ingest all of the feedback and deliver it in a clear way to the development team. I'd be lying if I said I didn't laugh at any of the memes the subreddit brews up...can be a little spicy sometimes, but have to acknowledge legitimate criticism, even if it comes in the form of an image macro! Sunbeam on high end Twine Peaks, and what's the story behind 6-Star Materials? A:When we rework Twine Peaks for endgame players we will extend the difficulty bands up, and Tier 5 crafting materials will be much more common in these higher-difficulty missions. We built out the Tier 6 crafting materials back before launch as a future-proofing thing, so we could eventually bump up the power level of our items, but they were not supposed to be available in the wild. Even if we eventually add an additional tier, we'll create new crafting materials instead of reusing those old ones.